THE SHITBOX RALLY WAS FOUNDED IN AUSTRALIA IN 2009 BY JAMES FREEMAN AS A WAY OF RAISING MONEY AND AWARENESS IN THE FIGHT AGAINST CANCER, AFTER HIS PARENTS DIED FROM CANCER WITHIN 12 MONTHS OF EACH OTHER. Over the past several years, the rally has become a bigger and better event, having raised over $7.8 million for cancer research, making this event the largest independently organised fund raiser for the Cancer Council in Australia. Next year the rally is set to head to the South Island of New Zealand to give entrants a seven day challenge on an even more daring route. The rally kicks off on the 25th of February in Christchurch taking on mountain passes, gravel tracks and majestic coast roads with teams driving cars worth no more than $1000. Local Gladstone paramedic Daniel Castagnoli has teamed up with a mate to take part in the 2017 ShitBox Rally in NZ. The team, called ‘The Dying Swans’, is set to travel the 2500km route and are looking for community support to help them get to NZ and raise funds that will go directly to the Cancer Council. *appologies to anyone who doesn’t like the S word used in this article. 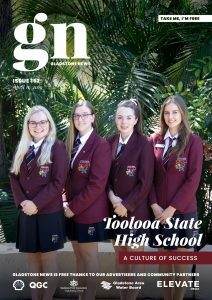 Gladstone News wouldn’t usually drop the S bomb in our publication however it’s the name of the event and a great cause so we felt it was acceptable to use on this occasion.